It's true what they say: debt is not just a financial issue. The distressing effects of debt problems can influence every area of your life, including your general well-being. If you're worried about debts, there are many things you can do to tackle the problems and get control over your finances. We've developed a simple five point plan to get you started. Even though it's scary, facing the facts is half the battle when tackling debt. Check your credit report using a free online trial (make sure you cancel any direct debits before the 30 days are up! ), keep a spending diary for a week or a month to see where your money is going, and work out exactly how much your debts are costing you. Have your credit providers sneakily increased your rates? Are you getting a bad deal on a personal loan? If you're with an uncompetitive lender, you may just be chipping away at the accumulated interest rather than the debt itself. Now you know where your money is going and how much your rates are, consider re-arranging your debts. Don't be loyal to a credit provider unless the benefits are clear. If you can transfer your balance from a promotional 0% APR credit card to your old card and avoid paying interest, do so. Some banks and other creditors also offer low interest rates if you consider transferring other existing debts to them  giving your bank a call may just save you a fortune. Your spending diary has helped you work out where your expenditure might be spiralling out of control, so now you need to rein it in. Use our free Money Dashboard budgeting software to develop a realistic budget, making sure you factor in any debt repayments  and stick to it! If you're underestimating your expenses, you may also be underestimating your financial resources, too. Think about any refunds you could be entitled to (mis-sold PPI is a big one), and any government grants or benefits. Do you have some savings stewing in a building society that you could use? Is there a way you could boost your income, for example, by having a lodger in the house when you're away? Once you've identified the nest eggs, use them to pay off the highest priority debts. It'll save you money on interest in the long run, and remember: lending rates are often far higher than interest rates on savings accounts. Debt problems can have a big impact on your mental health, and it's important to realise you're not alone. 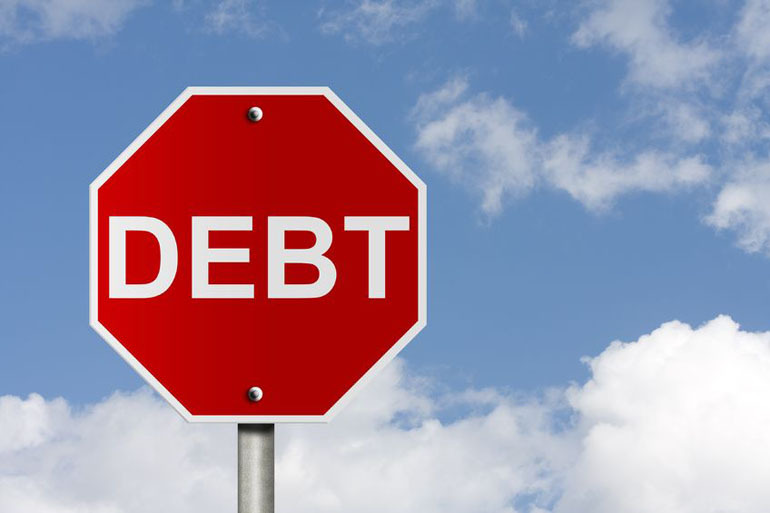 There are some excellent resources online to help you take control of your spending, and some great non-profit debt services, such as National Debtline and the Citizen's Advice Bureau, who can talk through your debts with you and work out an appropriate solution. Don't forget to ask family and friends for their emotional support, too. It may not be easy, but with a little help from those closest to you, you can get your finances back on track.